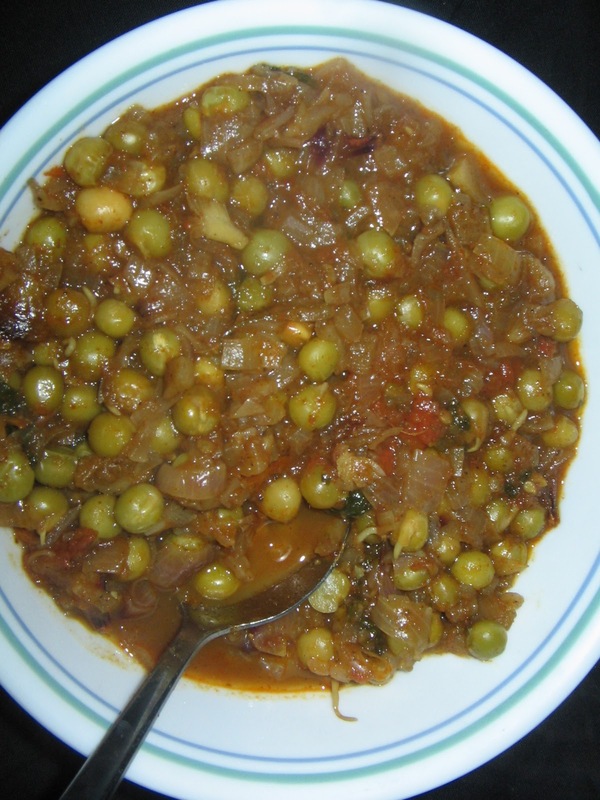 Green peas masala,is one of the combo i prepare for/with masala rice ,and it usually tastes yummy..
First of all half boil the soaked green peas in microwave for 3 minutes in micro high 900 w,by adding a cup of water.Keep it aside. Place another micro safe bowl on a table,add oil to it.Micro high for 30 seconds.. 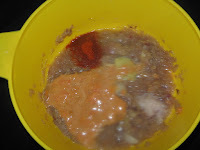 Remove it outside and now add onion(paste form),ginger garlic paste, and micro high for 3 to 4 min in high 900 w.
Next remove it,and mix well,now add tomato pieces /puree,chilli powder,salt and again micro high for 5 minutes. 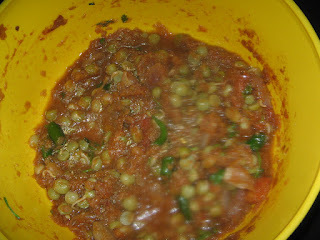 Now mix well ,and lastly add half boiled green peas,masala powder,mix well and micro high for another 5 minutes.. Remove it and transfer in to a serving bowl and garnish with cilantro.. Serve with rotis ,steamed white rice or masala rice.. 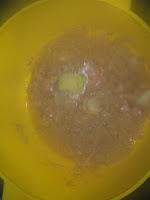 Boil the soaked channa in 2 cups of water till half boiled, or else pressure cook for 1 whistle.Keep it aside. Then place a pan on the stove and add oil to it.After it is heated add chopped onion/onion paste,ginger n garlic paste,and fry it. Then add tomato/puree,chilli powder and salt,and cook for 5 minutes by closing with a lid in low flame. Lastly add half boiled peas,masala powder,mix well and add half cup of water and cook,till done. lovely and delicious peas masala. will be great with rotis! wow i love the recipe and cant wait to try it.